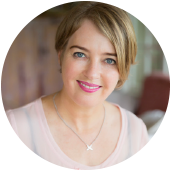 Julia O’Gorman is highly respected beauty therapist in New Zealand with over 30 years experience. 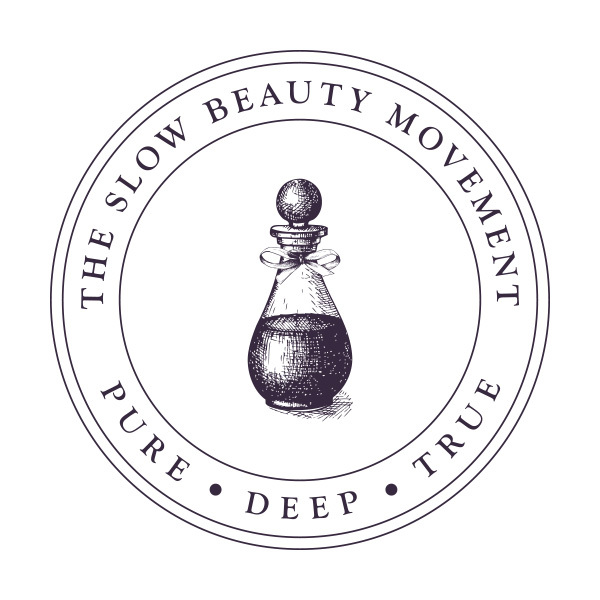 Bestow Beauty products are an essential part of her holistic approach to skincare. 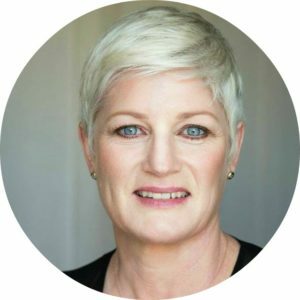 She says that complementing topical skincare with internal support makes a significant difference to the results she can get for clients. 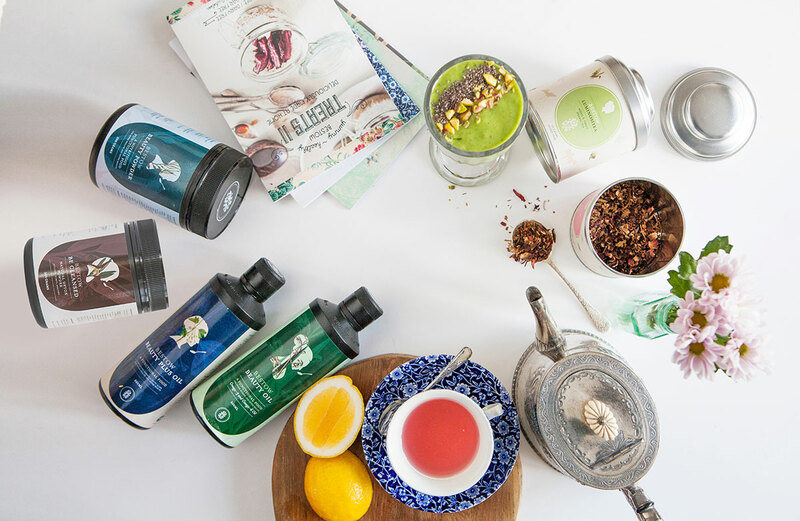 Julia shares her holistic skincare wisdom with us in this inspiring case-study. A new client came to see me for sugaring. At our first appointment I noticed that her skin was very tight and dehydrated, she had multiple black-heads and pustules and a compromised acid mantle. After discovering that she was soon to be married I gently mentioned that I could help her have beautiful skin for her wedding. She gratefully agreed to start a holistic skincare programme with me. This lovely lady was very self-conscious of her skin. She works as a personal trainer and dental hygienist so was regularly up close with clients. 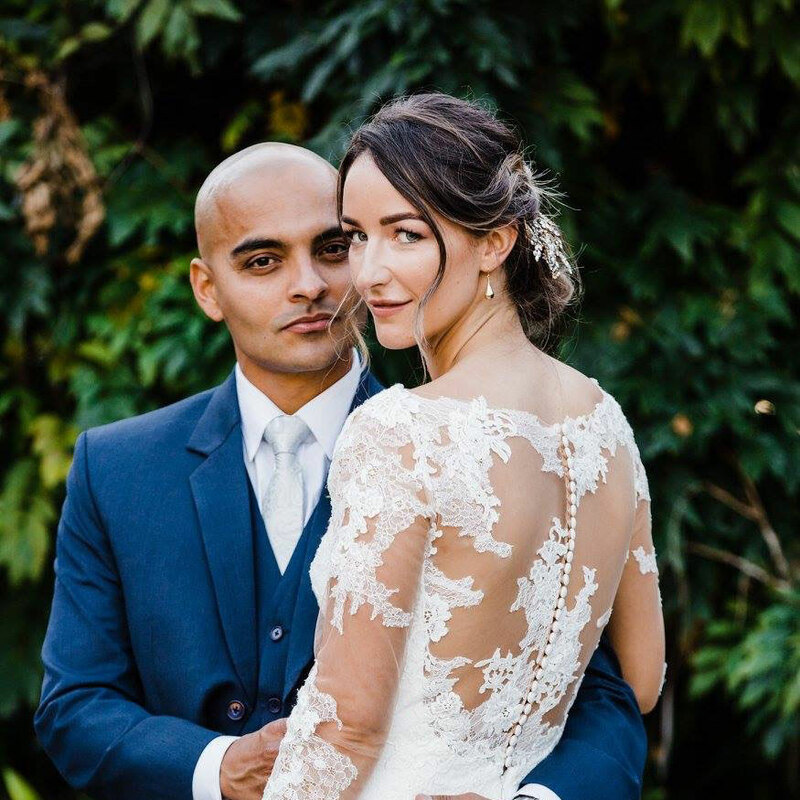 Her fiancee noticed her skin challenges and with her wedding coming up she was very motivated to make changes in order to heal her skin. I prescribed Bestow Beauty Oil immediately to help to clear her congestion from within and to regulate the oil flow to her skin. Bestow Beauty Oil improves both the quantity and the quality of the sebum flowing onto the acid mantle, so I find it an essential part of treating acne-prone and congested skins. I gave this client some Bestow Beauty Oil recipe cards, which she loved. She included the oil in her smoothie each morning and also made a Bestow salad dressing. These two things helped her to easily incorporate Bestow Beauty Oil into her daily routines. Over Christmas, her diet deteriorated and she stopped taking her Bestow Beauty Oil. Her papules and pustules returned which was convincing motivation for her to get back on track! Prior to working with me, this client had a good Monday to Friday diet but found the weekends challenging. She had a lot of congesting foods in her diet, including protein bars and chocolates which fuel congestion from within. I gave her a list of congesting foods and suggested healthy replacements. 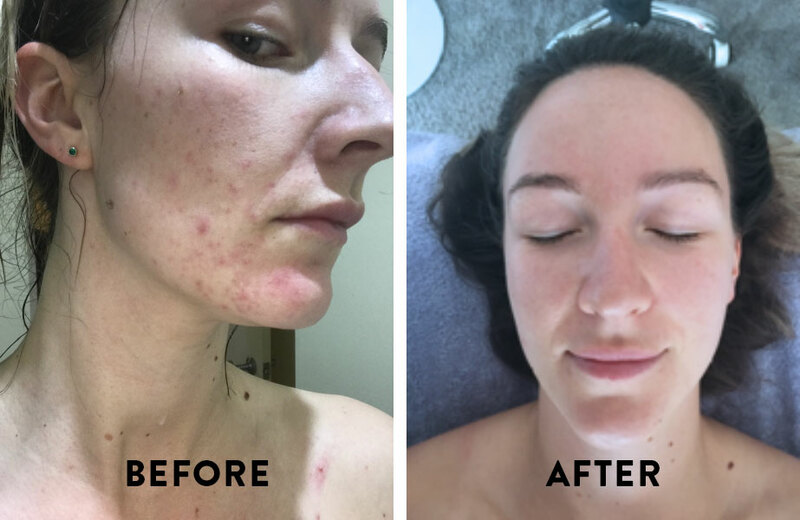 At the beginning of our programme, I put her on a seven day clean-eating cleanse designed for skin health. This got her off to a great start and those cleanse recipes became part of her new healthy eating lifestyle. After the Christmas setback, I put her on the seven day cleanse again to clear her skin quickly for her wedding, which worked really well. Topically, I used an organic, botanical skincare range which heals, repairs and strengthens the skin barrier. This was used in conjunction with a twice daily skin-soaking ritual to rehydrate the skin and loosen congestion. I did monthly facials to increase the hydration levels of the skin and did extractions to speed up the clearing of the papules. This client was working out a lot and sweat was irritating her skin. This is a common occurrence as sweat is strongly alkaline and skin is acidic. I suggested she do her skincare routine as soon as possible after exercising, but if she couldn’t, to use a soothing botanical mist to return her skin to the correct PH balance and prevent bacteria multiplying on the skin. This client was very motivated and willing to make changes which made her such a pleasure to work with. Skin transformation is always a partnership. 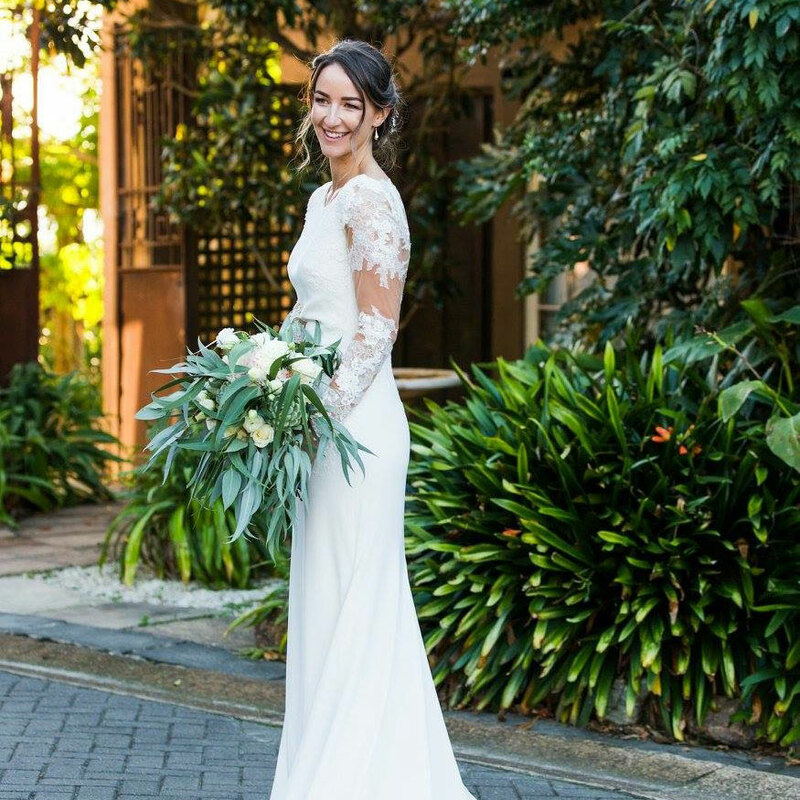 After four months of working holistically this client was able to enjoy clear, soft, glowing skin on her wedding day. She gets positive comments about her skin everyday and feels empowered to face the world with confidence. How to Maintain Your Janesce Glow When Travelling | Top Tips!